If you choose Joomla for your projects, like millions of other users and developers all over the world, this blog post is exactly what you need to look through now. It will provide you with a wonderful opportunity to save on design cost without any quality loss. 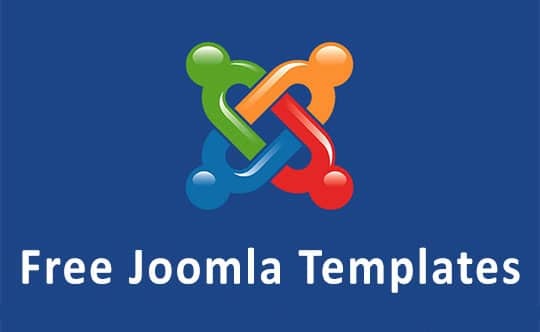 Here you will find 14 Joomla templates for different types of projects available for free download. First of all, let us calm down the skeptics. All of the templates, through which you’ll browse in a few minutes, have been handpicked from trustworthy resources like TemplateMonster, SmartAddons, Vina Gecko and others. We don’t think that there are too many users here who are not sure if Joomla is a perfect choice for them. However, if there are some, we will try to recap some facts about Joomla that may seem essential for people who have doubts. It’s a well-known fact that Joomla is a free and open-source CMS built on a model-view-controller web application framework. Joomla is written in PHP and has used PostgreSQL database since version 3.0. It includes features like page caching, RSS feeds, printable versions of pages, news flashes, blogs, polls, search, and support for language internationalization. Joomla is estimated to be the second most used content management system on the Internet after WordPress. It has been downloaded over 50 million times. There is an assortment of many free and paid extensions available either from the official Joomla! Extension Directory or other sources, so the CMS leaves quite a lot of latitude for improving your website. Are you ready for a quick start with Joomla? We don’t promise that your website won’t cost you a single dollar (hosting, domain and similar expenses are unavoidable), but at least you will save on design with the free templates gathered below. Believe us, that saving alone can be a considerable amount, so we advise you to pay attention as you browse through the free Joomla templates in order not to miss your future website. This excellent theme has been developed for interior and furniture design projects. It provides a very impressive slider and projects gallery allowing the site owner to feature the latest works with panache. The Main menu is in a lower position on the page and sticks to its top when you start to scroll. Adequate white space and harmonious arrangement of the various elements combine to make the layout clean, and content easy to comprehend. 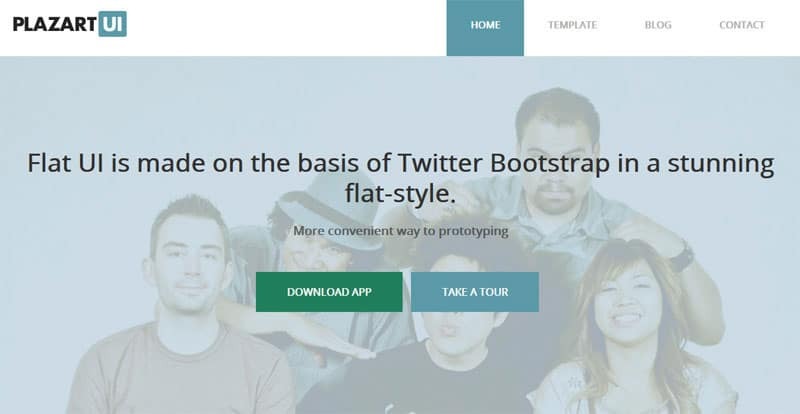 The template is designed with Bootstrap. It is responsive, SEO optimized and coded with LESS. It uses most innovative design and code libraries. 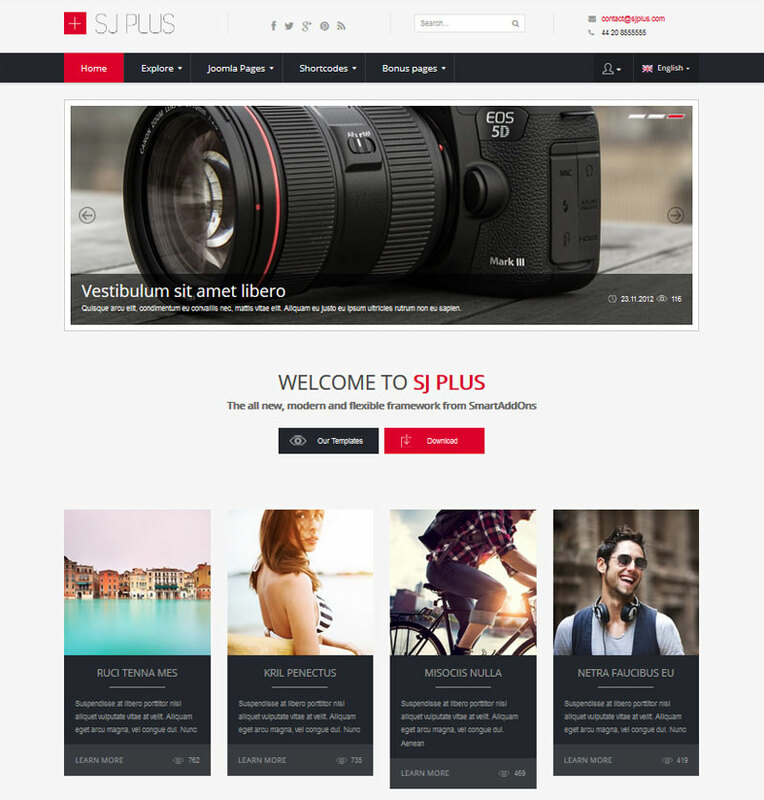 SJ Plus developers used cool modern style with many extra pages. Each of them has custom styles to suit various types of pages. Integration has become quicker and easier now. Front-end Cpanel, SJ Plus allows to set style for content through parameters right out of the box without affecting the Database. Content component lets to post articles with many featured details along with many extensions. SJ Plus can display carousel, tabs or custom stylized content that are suitable to various contexts ranging from personal Websites with social profiles to business Websites with intensive traffic. 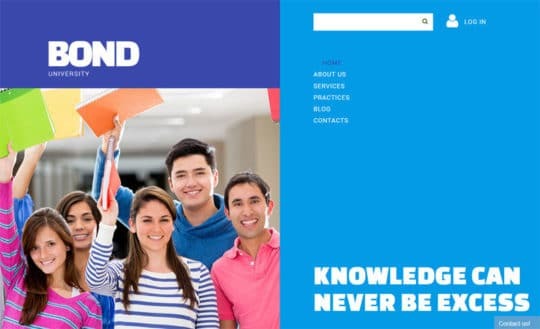 This contemporary Joomla 3 design with trendy polygons in the background fits almost any type of project you can devise. The template is totally responsive. It’s extremely user-friendly and highly customizable with over 60 style options. 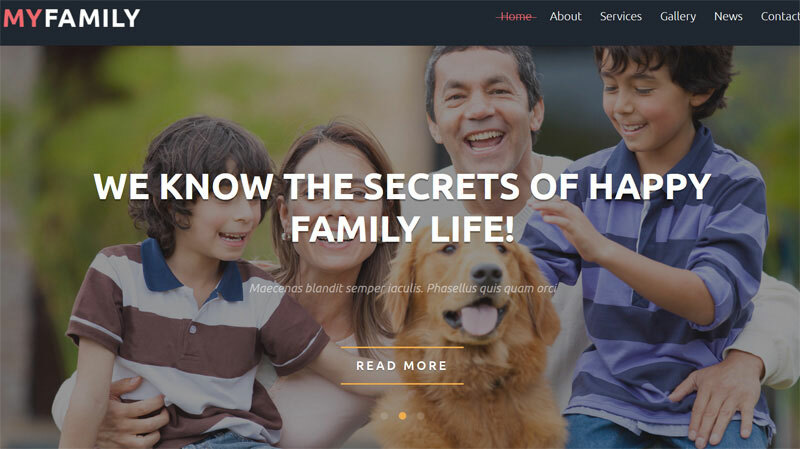 This family-oriented template is suitable for a blog, forum or gallery. It has a buoyant design with all those bright colors and big positive photos. The sections are separated from one another with the help of straight lines that are not parallel to each other. This looks rather unusual. The Main menu is sticky, and round banners add style to the layout. The embedded video makes this online presentation more engaging. A spacious and simple contact form invites the visitors to send a message to the organization. 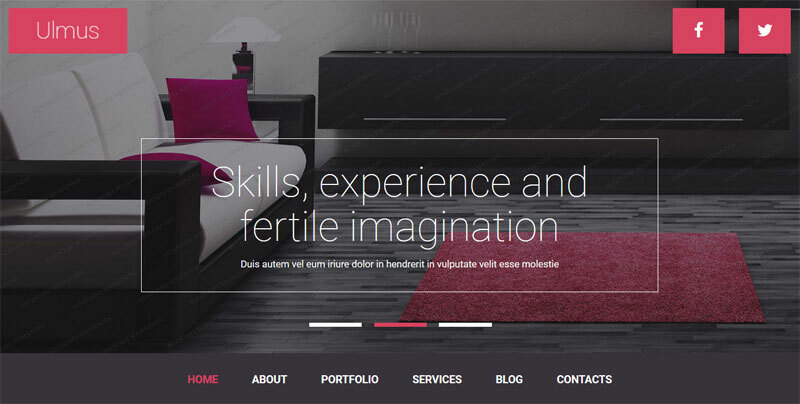 This simple multipurpose template is built with Joomla 3 and Bootstrap 3. 600+ Google fonts are available to change your website’s content appearance. With Font Awesome you can add vector icons, from a library which lists over 360 of them, to any part of your template including Articles, Article titles, Menu items and Module titles. The template also offers a large choice of menus, lists and tables. 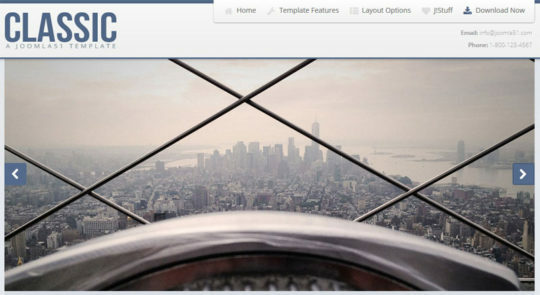 This template’s package includes a responsive slideshow, compatible with Joomla 2.5 / 3.X, and plenty of other features. This theme, designed in metro style, is perfect for universities, schools and other educational institutions. Visual banners enhance the main navigation, which is laid out vertically. Site menu is supplied with fly out images and links. Social media block and built in Google map are at the bottom of the page. This dark template works well with all new Joomla versions including 3.4.1. It is supplied with slider, tabs, and banners that respond to users’ actions. Search bar and Login Form are also available as well as a social media block placed at the top right corner of the web page. This yellowish responsive Joomla template has been developed for a beauty studio or spa salon. 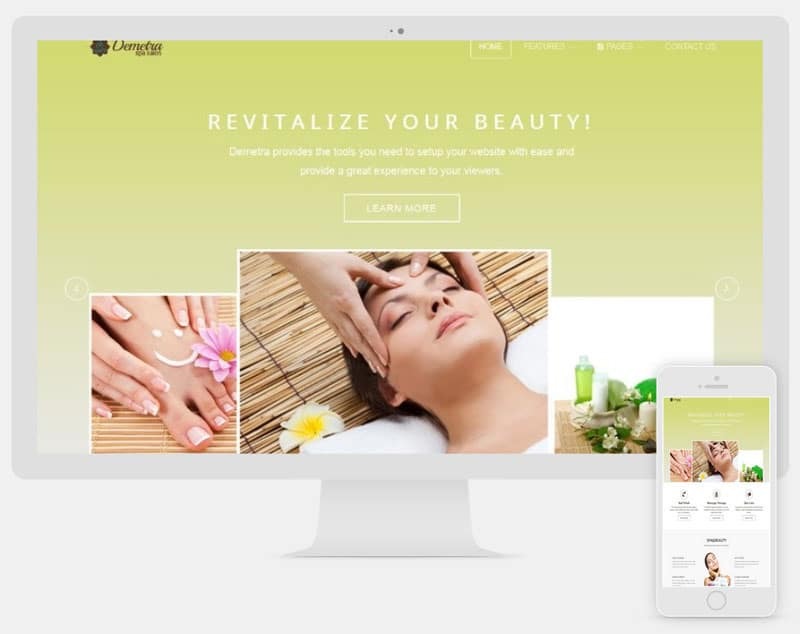 It comes with a wide responsive slider to display the featured treatments, services boxes, testimonials and FAQ sections. A fully customizable footer includes a sign in form, recent blog posts display, salon opening hours and contact details. 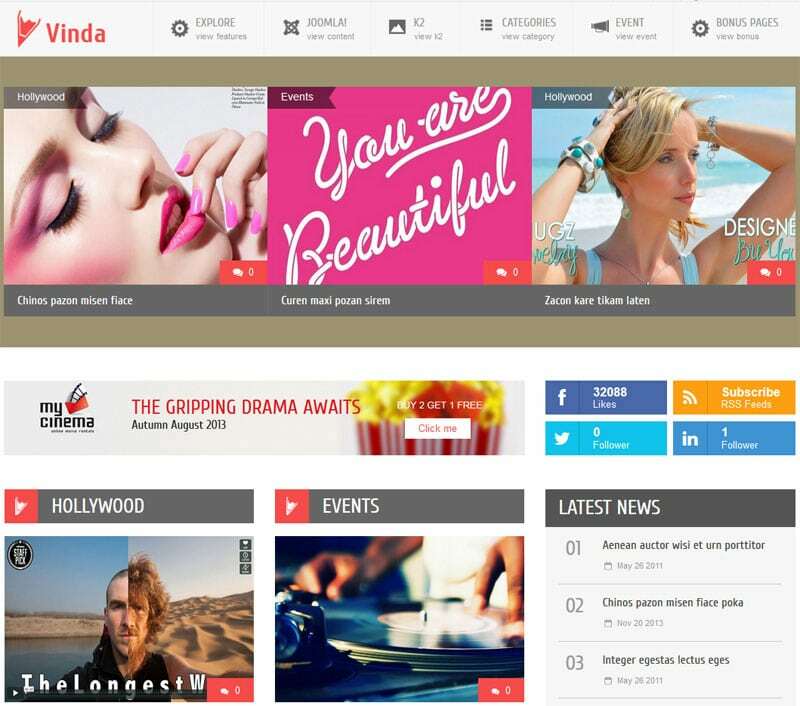 Vinda is a wonderful responsive entertainment Joomla! template compatible both with Joomla 2.5 and Joomla 3.x, and integrating K2 Component as a powerful content platform. The template is built in flat style. It has neat typography and well-structured layout. The template includes 6 color schemes and 8 bonus pages, supporting RTL language and various content types. 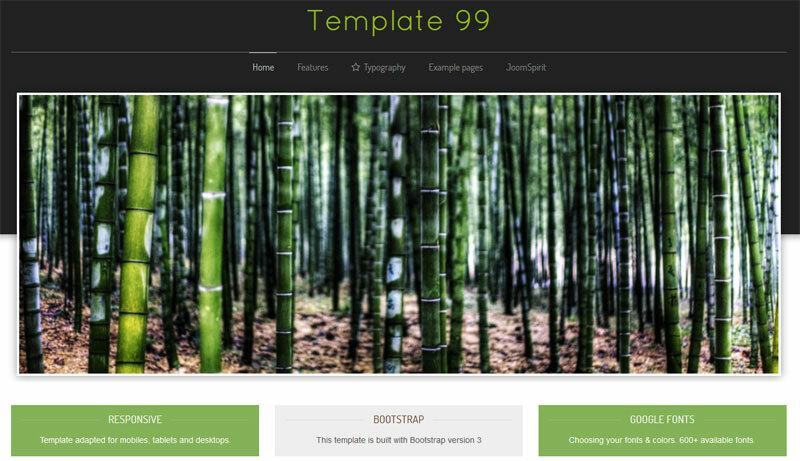 This template will suit any entertainment, media, event, or movies website. It is energized with a wide range of powerful premium extension: Slider for K2 with the great impression of various cool transition effects, SJ K2 Categories that helps you set up category showcase right out of the box, Mega Menu – a powerful menu included in YT Framework V2 and more. This totally responsive design includes dozens of configuration options: colors schemes, menus, typography, Google fonts, etc. All of them can be tweaked quickly to fit any need. 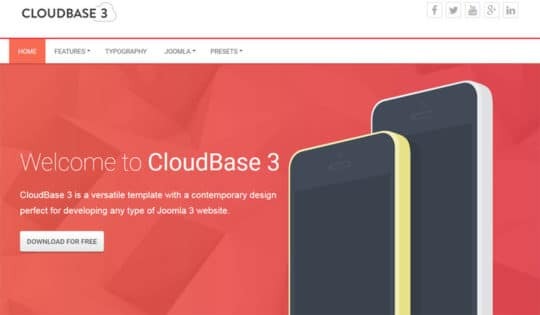 This Joomla template is recommended for those who are going to sell downloadable products online. It is simple, easy to use, modern and up to date. Plazart UI is responsive. The template is built on Plazart Framework, designed on the base of Flat UI, integrated with Joomla 2.5 and Joomla 3 and the latest version of TZ Portfolio. This easy-to-customize, responsive Joomla template is a great option for a food and cooking blog, chef’s personal website or catering blog. 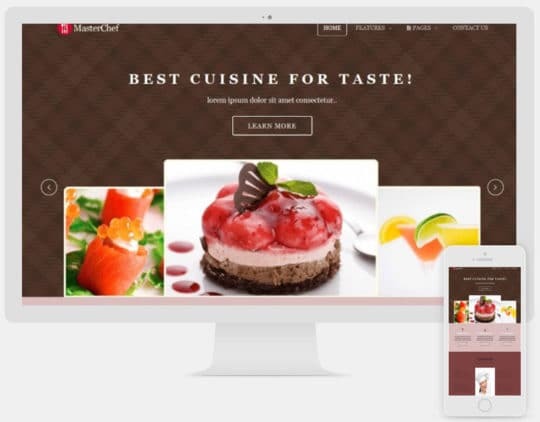 You may also use the theme’s pre-built modules and features to build a restaurant or coffee shop website if you wish. 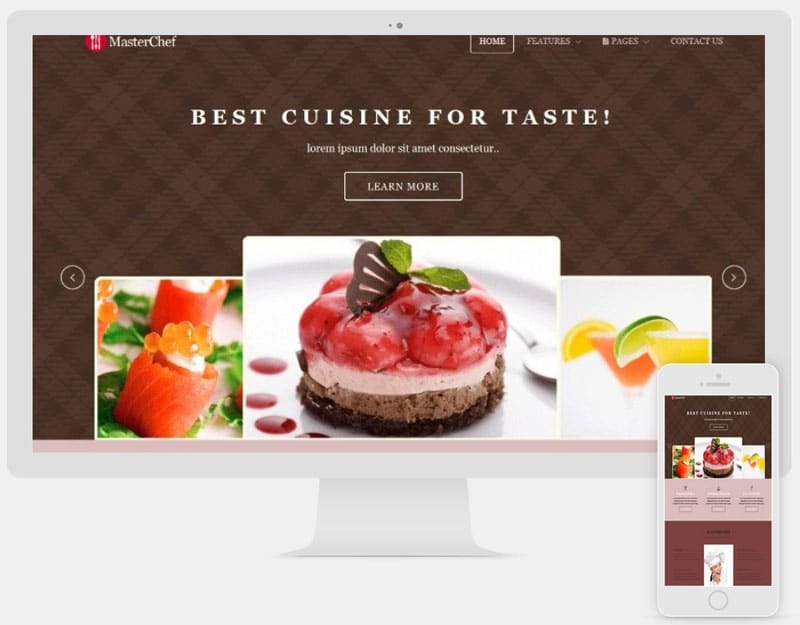 Customize MasterChef template’s home page with a full-width responsive slider or image carousel. You can also customize your blog page, posts, contact page and gallery as well as the header and footer sections, menu, and even links to your social pages and call to action buttons. A cool template for a Media Company, isn’t it? Echo is best suited for business sites, portfolios and magazines as well. The template is built with T3 Framework and Bootstrap 3 technology, both of which provide a combination of an extensive responsive layout. Besides, intuitive templates mean more traffic for your website. Customizing of Echo from the backend should not be complicated. The template includes an easy and intuitive Admin Interface. ThemeMagic allows you to edit your CSS and Stylesheets easily with elegant theme color choices, powerful K2 support and professionally designed, readymade layouts which also can be tailored to your needs. Classic Joomla template includes multiple color and font choosers for almost every element of your project. It has easy to edit background and logo options, Font Awesome and animations inclusion along with a whole lot of extensions to help organize your site content. Our collection of free Joomla templates has come to an end. And now we would like to ask you if you liked anything featured above. Please tell us which of the templates you have chosen for your project and why. Your feedback is welcome in the comments section, as usual. This article is written by Helga Moreno from TemplateMonster. She has a very curious nature and a long list of topics waiting to be featured. She constantly researches in order not to miss a thing happening in the world of web design and development. Follow her on Google+.